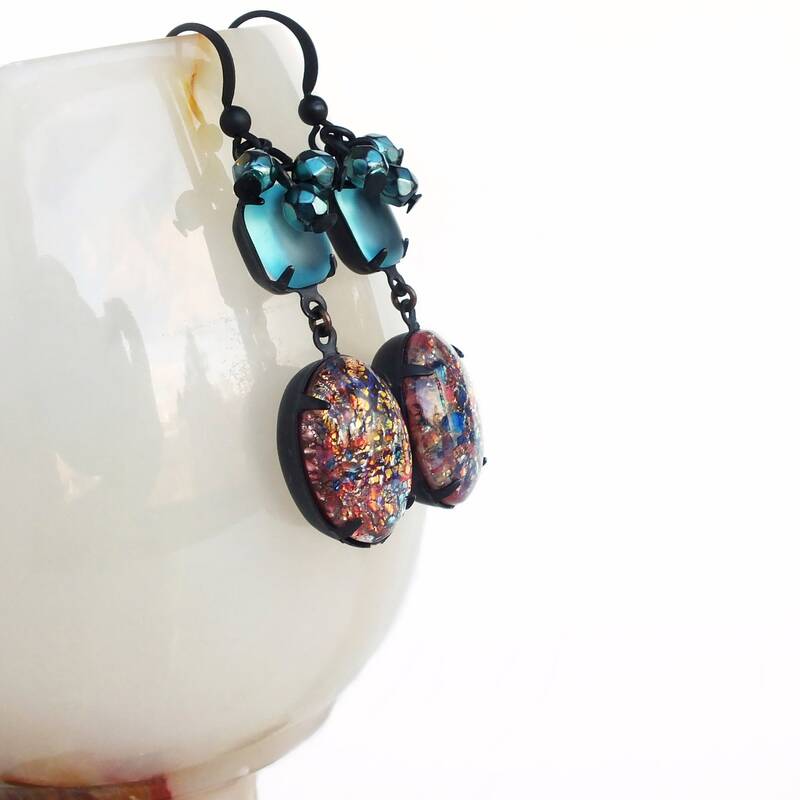 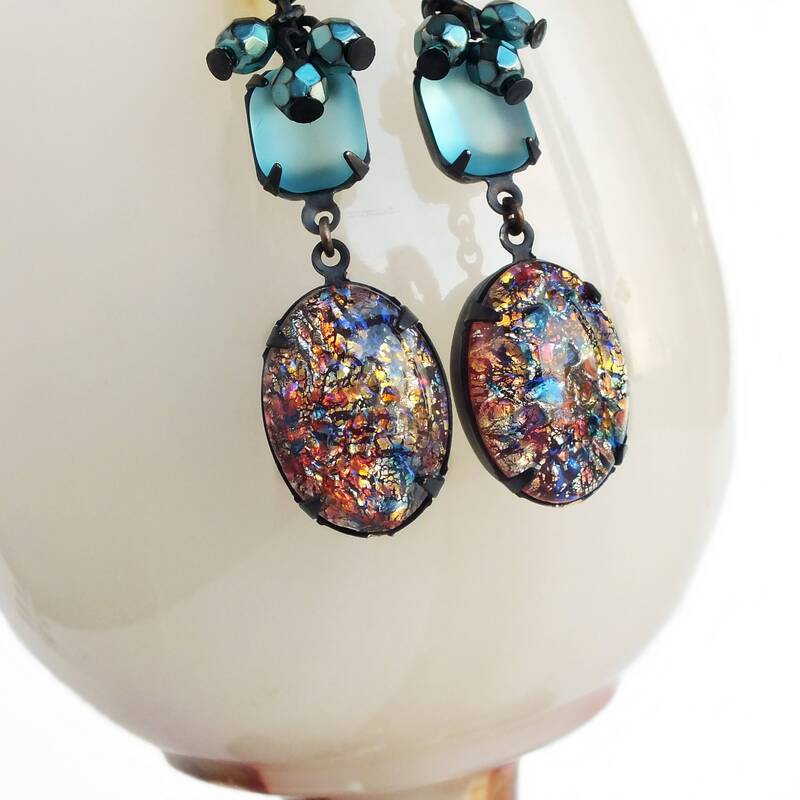 Long handmade rainbow glass earrings with vintage multi-colored glass fire opals and Czech glass beads. 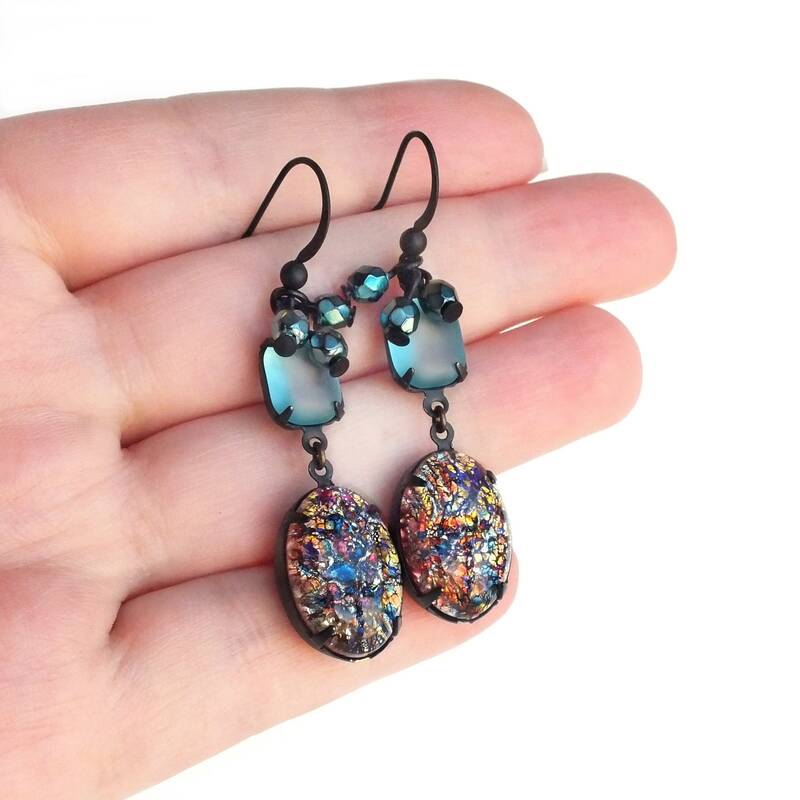 US made oxidized brass settings and ear wires. 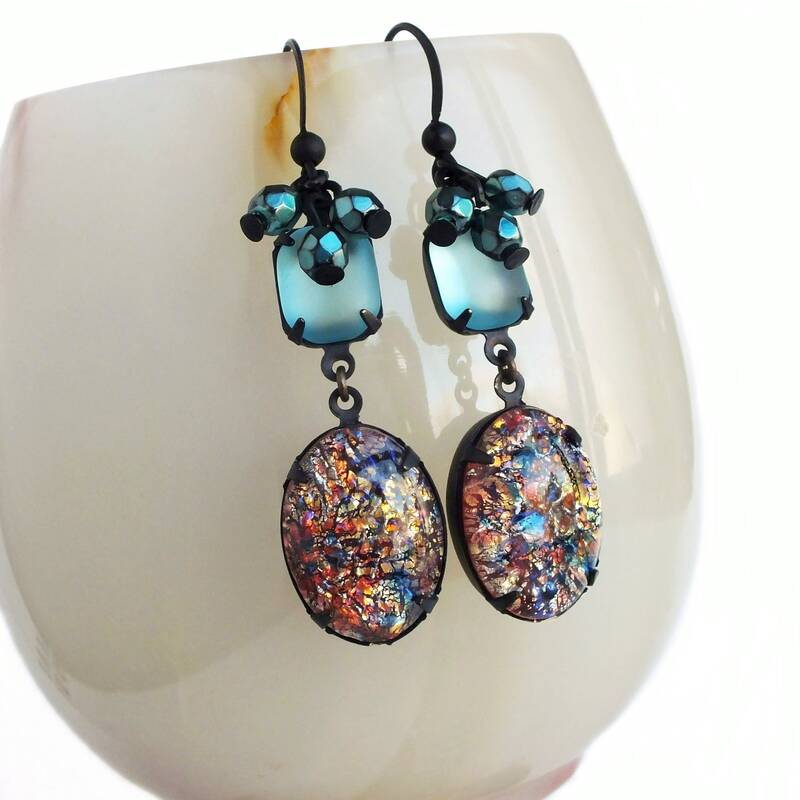 Made with absolutely stunning genuine vintage domed glass fire opal cabochons featuring sparkling multicolored glass with sparkling foil and hints of electric blue iridescence in bright light. 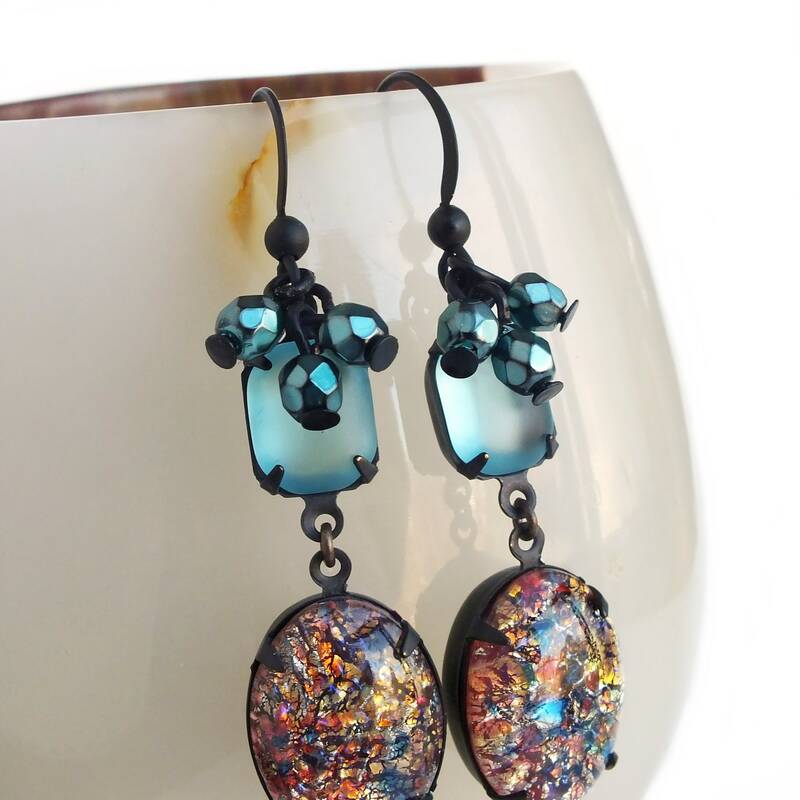 Set in oxidized brass settings adorned with light blue frosted vintage glass stones and metallic teal Czech glass beads.